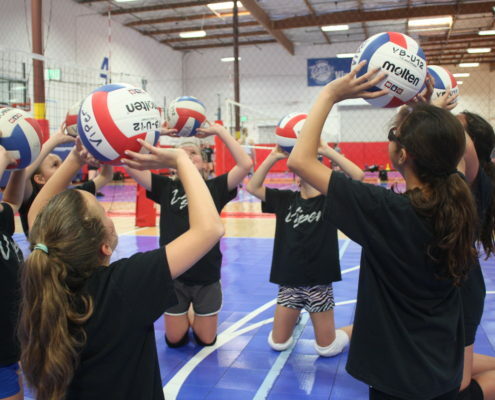 Our camps are packed with volleyball skills, drills, games and more! 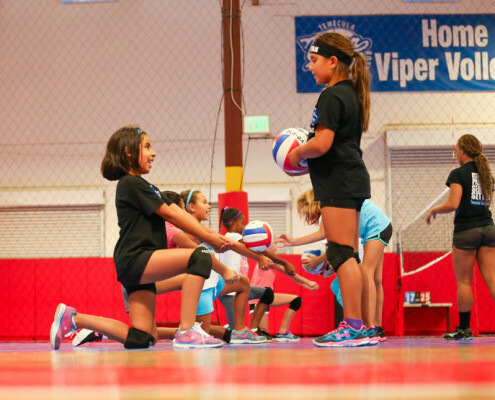 Camps will not only develop your athlete’s volleyball skills, but they will also introduce new friendships and a new passion for the game. Our outstanding coaching staff will focus on each athlete’s age and abilities and group them with similar skill levels to ensure every participant is being instructed appropriately. We are excited to continue our partnership with the City of Temecula for our camps this year. All camps will held at Rancho Sports Center and will be ran by our talented Viper coaching staff. To register, visit the City of Temecula Recreation website at http://www.temeculaCA.gov/TCSD and then click “Register for a Class.” From there, you can login if you have an existing account or if you are new to their classes, click “New User.” If you do not live in Temecula and you go to create your account, it will notify you that you are a non-resident. All you need to do is click “Submit” at the bottom of the page to continue creating your account. kids who have some class or team volleyball experience.